Working with Anthropologie was nothing short of a dream come true for me. In fact weeks before, I had a conversation with Seth where I told him that if I ever had the opportunity to work with Anthropologie I would know I had arrived and could die a happy girl. To my surprise two weeks later I woke to an email entitled "Hello! from Anthropologie". The experience was one I'll forever be grateful for and look back on with fondness. They were a pleasure to work with and made that Christmas season one we'll never forget. We worked hand in hand to create a beautiful Christmas scene by combining their products with our design- and the result was nothing short of magical. 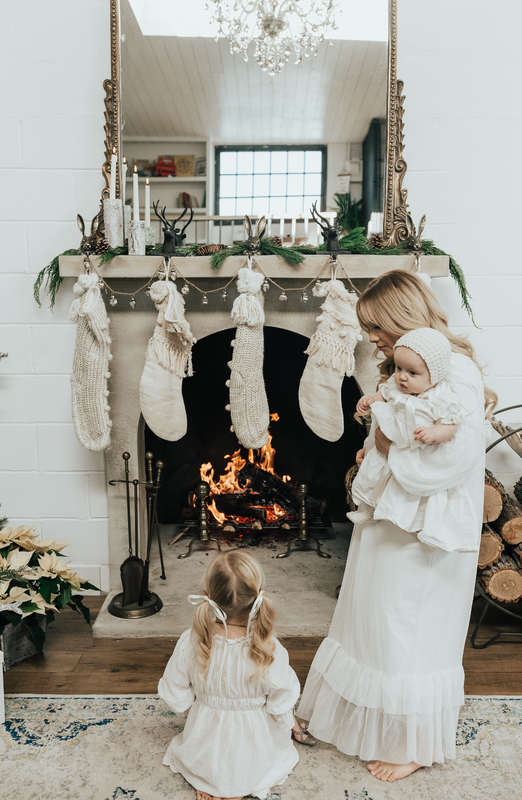 Keep reading below to see hear all the inside details of How I holiday with Anthropologie. Some of my favorite memories as a child were at Christmas time. My parents always did their best to make it a magical time for each of their seven little ones. We may not have had a lot of money, but we did have a lot of family traditions and that is what made the holiday season so special. My mama always made sure that we understood the real reason for the season and I hope I can carry on the same spirit with my own children. Each year I try to keep the most important traditions going. It’s how I find peace during the hustle and bustle of the season. There’s always going to be the newest and next-best-thing, but there’s beauty in the simplicity of traditions, and I try to embrace that always! Do you and your family have any extra special must do traditions during the holiday season? I thought I might share some of ours. We like to kick off the traditions with our annual Nutcracker Day! This is an exclusive just-the-gals sort of outing and my littles look forward to it every year. Anything ballet related is always a shoe-in for Pearl and Cozettie. First we go out shopping for holiday dresses, enjoy dinner together on the town and finish the night off by watching the Nutcracker. It's a showing we look forward to year round and cherished time I get to spend with just my girls. During this years showing, Pearl leaned over to me and whispered, "Do you know what I DREAM of mama? Shopping in Paris for Christmas!" HA! That girl is a dreamer and a doer, much like her Daddy. So... if anyone has and extra $100k lying around to Pearl's Paris Christmas Wish Foundation, that'd be grand! 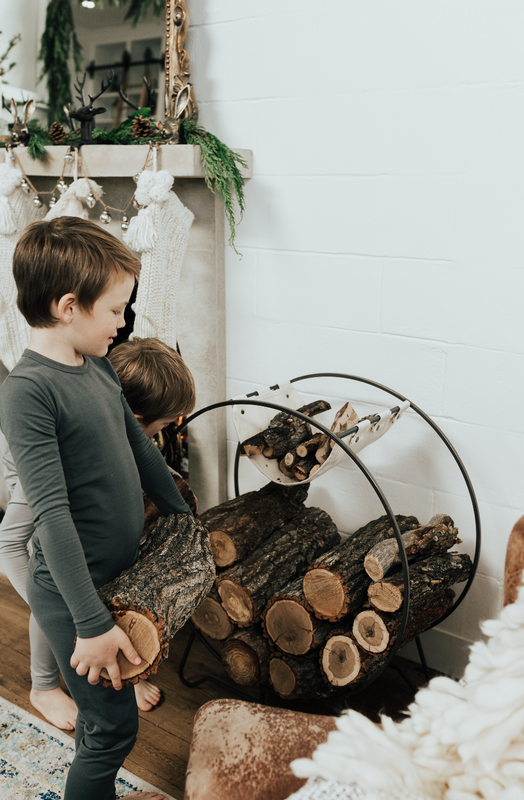 Some of our other favorites include our tradition of reading "Charles Dickens, Life of Our Lord" together around the fire and our Winter Solstice Dinner by candlelight. We started this tradition 5 years ago and I hope we continue for 50+ more to come. We make the biggest turkey we can find, light all the candles in the house, put on our Sunday best, pour the martinelli's, set our table with our finest china and have ourselves a merry little Christmas feast. "On paper" that sounds so perfect right?!! Well our reality this year was the driest turkey in all the land, a 4 year old jumping up and down throwing food across the table, a baby that wouldn't stop crying, and a mom that might have shed a tear or two over it all. You win some you lose some. In the end, its not about the perfection of these traditions.... it's about the feelings we felt and I know we all felt the love that night somewhere amidst the chaos. Last but not least is the household favorite; Polar Express Night. Once the kids are in bed, Seth and I sound an antique train whistle to signal the beginning of the season. You would think that's an awful idea, especially if ALL FIVE are actually in their rooms and ready to go to bed! But I promise, waking everyone up is worth it once a year for this special tradition. We take a car ride through the city, admiring the lights and sipping on some hot chocolate. I try to always read them the Polar Express story during the week that we're planning the surprise night... and I think they're starting to catch on! 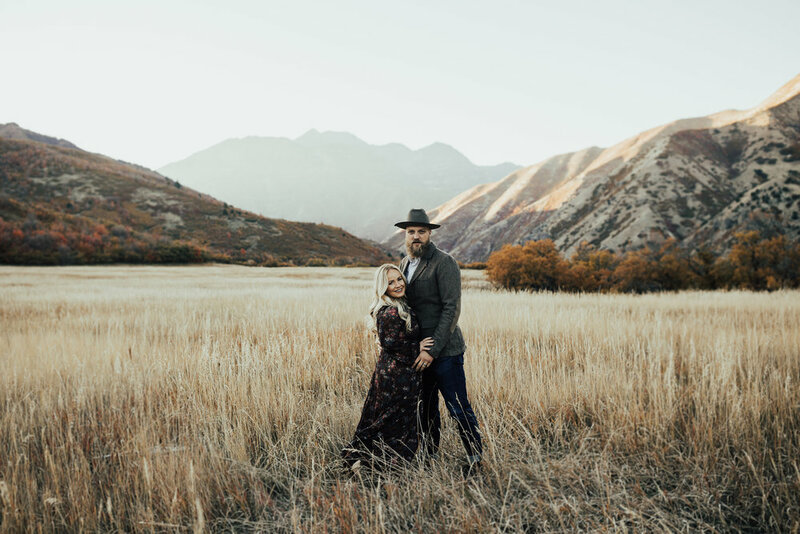 During this collaboration we were able to capture some of our favorite moments with some of our sweetest photographer friends. Their work is featured below. Mandi is a long time friend who by far is the queen of minimalism. Her images always have the most beautiful crisp and refined finish. We loved having her on board with us and will forever cherish some of the moments she captured! Keep scrolling right to get a glimpse at the magic! To see more of her work visit her site here. Promise it's impossible to leave uninspired! Rox is increeeedible! Her photos often leave me breathless! She not only captures the story of each moment but somehow manages to capture an almost tangible feeling of love in each photo as well. Her moody and vintage aesthetic, vibes perfect with our little family and we just love her! See more of her work here. Heather is also a long time friend of ours that always seems to be around right in time for cookie baking. She is the queen of lighting and attention to detail. Check out her work here. Hey friends! Sign up to receive news and updates on our latest adventures!